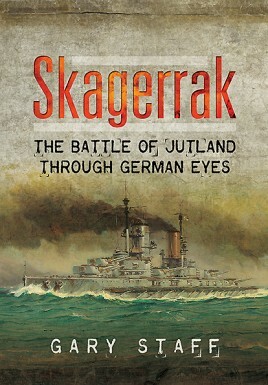 This book is a complete history of the Battle of Jutland through the eyes of the German High Seas Fleet. VizeAdmiral Richard Scheer, its commander, especially has a different view of the battle than we are used to reading. If the findings in this book are correct, then we will have to look at many of the incidents during the battle with a different perspective. A case in point would be the 'Death Ride of the German Battlecruisers'. According to this book, it was nothing of the kind, and it is a tall tale that merely evolved over the years. The author shows that this tale was printed in the book 'Kiel and Jutland' a few years after the war (the title when it was released in English was 'Two White People'). The author of this book KorvettenKapitan von Hase actually said that the order was followed by the order 'to ram (the enemy ships) and to fight to the death'. This books author shows that the English fleet was five miles away, and the German battlecruisers had actually turned south before this purported order, and continued on this course for five minutes. According to the sources quoted, the battlecruisers' turn south had made the German battleships bunch up when they did their first 'battle turn' manuever. Therefore, Scheer, because of the battlecruisers turn south, ordered them to attack the British and not continue with what he perceived as a retreat. The book quotes ViceAdmiral Scheer on this point, and the actual first 'battle turn' (the 'battle turn' used by the Germans is usually described as a turn by all of the battleships as one so that the first ship becomes the last etc, essentially a retreat). The incident is usually shown in the light of a last ditch effort of the Germans to escape annihilation. According to Scheer, the 'battle turn' was a much practiced German tactic to bring an opposing fleet closer, and then attack them with destroyers and torpedo boats. This was exactly the tactic that Admiral Jellicoe of the British Grand Fleet was afraid of. Jellicoe had, since the beginning of the war, said he would not follow a German retreat for fear of a torpedo attack and mines. So when the 'battle turn' took place, the British fleet did not close with the enemy. You can almost hear the emotion in Scheer's voice when you read about his thoughts on this matter. I can guarantee that in Jellicoe's shoes he would have closed with the enemy fleet. In his writings his natural pugnacity comes through. The book goes through the battle with a minute by minute description of the events of the battle. It is also heavily populated with maps (an absolute necessity for naval battles). The author also contends that the Warspite, which did a lazy circle through some of the battle, did so because of damage received from the German fleet. This is an excellent addition to one's library, to see a different side and take on the events of the battle.